Justin Brierley is the host of the popular podcast Unbelievable? and the similarly titled book Unbelievable? Why after Ten Years of Talking with Atheists, I'm Still a Christian. 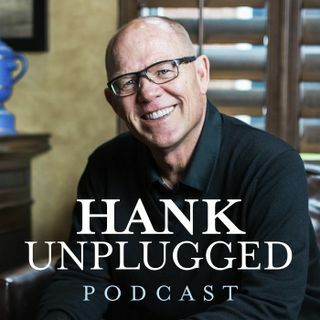 Brierley has dedicated his career to holding engaging conversations between believers and atheists, and joins Hank to discuss the keys to having good conversations with those with whom we disagree. There is no doubt that the state of dialogue is in disarray, as Dictionary.com's word of the year for 2018 is ... See More "misinformation," highlighting the need for authentic conversations in a world filled with "fake news. "Topics discussed include: the popularity of Brierley’s podcast, Unbelievable?, featuring discussions between Christians and nonbelievers (5:30); Premier Christian Radio being one of the only religious radio stations in the UK (8:05); how Brierley and his wife ministering with the Odibo mission in Namibia set the tone for the rest of their lives (11:00); the importance of breaking out of “echo chambers” (13:05); why Brierley began Unbelievable? at Premier Christian Radio as an opportunity to model Christian conversations with skeptics (16:20); the keys to having good conversations (18:05); how editing other writers helped Brierley learn how to write (22:05); how Brierley stays neutral while moderating debates between believers and skeptics (25:05); the glaring contradiction when atheists apply objective moral standards (27:20); how atheist Peter Singer attempts to apply objective moral standards to his materialistic atheist worldview (29:35); what it was like to interview the most well-known atheist on the planet, Richard Dawkins, author of The God Delusion (32:40); the key to connecting with people in conversation (35:30); the importance of authentic conversations in our world today (38:50); ways of winning the person rather than winning the argument (42:00); how apologetics helped Brierley through a season of doubt (44:00); the inspiration for Hank’s upcoming book, Truth Matters, Life Matters More (48:00); the relationship between doubt and faith (49:45); how Brierley’s beliefs have evolved as a result of hosting Unbelievable?, such as his annihilationist view on eternal torment and creationism vs. evolutionism (52:30); Mere Christianity and how Christians can come together over common causes and drop the secondary issues that separate them (1:03:45); the strongest arguments that skeptics have made against Christianity (1:09:10); and why, after ten years of talking with atheists, Justin Brierley is still a Christian (1:16:55).